This grounded, multiplier adapter triples the capacity of a standard outlet. 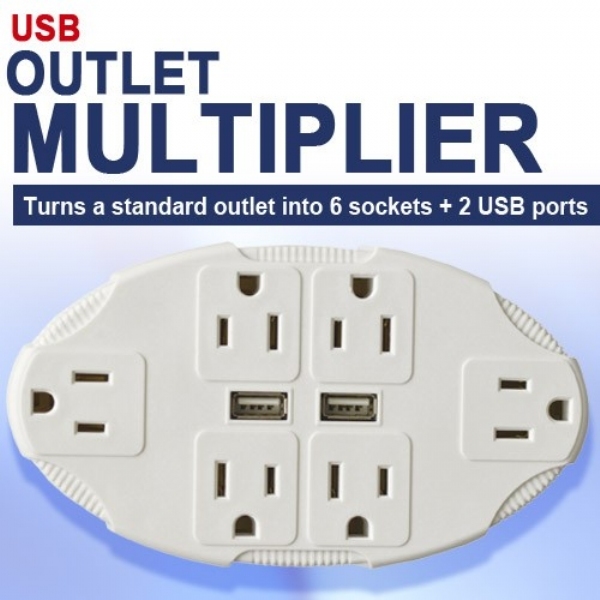 Dual USB Outlet Multiplier, this grounded, multiplier adapter triples the capacity of your standard outlet while adding two additional USB outlets for mobile and electronic devices. Simply plug into the wall socket for a grounded connection, saving space and making it easier for bulky and over sized plugs. The compact design is great for travel. 3 1/3 "L x 2"W x 6"H.